As a business, insight is only valuable if coupled with action. Therefore, only measuring NPS and getting feedback from customers will not result in beneficial business outcomes. 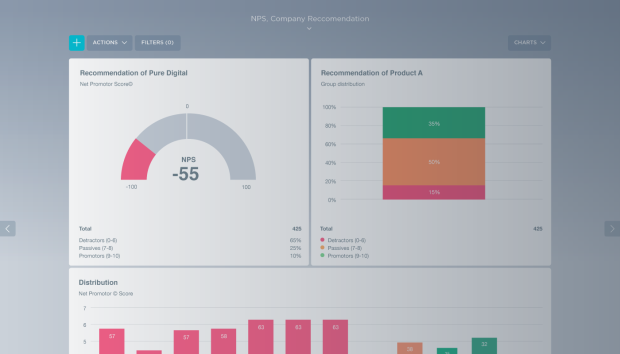 These outcomes will first be obtained when a connection between listening to customers, acting on the feedback, communicating back to the customer with the intended actions, and validating these actions through improved NPS scores is achieved, hereby effectively closing the loop. Closing the loop begins with ensuring that the customers’ feedback is communicated back to the relevant employees who have been most influential in the customer’s experience. The next step is then to get back in contact with the customers whose feedback needs elaboration, in order to find the root causes of the customer’s negative experience. The ultimate goal in this regard is to fix the given problem and ensure that it does not reoccur, but this follow-up process can also give businesses valuable insight into more systemic issues which for example can lead to product improvements. Time is of the essence in regards to closing the loop. From the moment a customer has provided feedback, they will be waiting for the organization to respond. Therefore, establishing real-time systems is an important tool allowing for the business to react as quickly as possible. Real-time systems can be developed and implemented in different ways. This can for example be done through automated notification systems letting you know when certain scores or feedback levels have been observed, allowing for you to respond immediately. Such systems can be further supported by tools, making sure that all the valuable information from the follow up, is fed back into the loop. Get in touch with one of our consultants to find the right solution for you.